Cllr Richard Burton held his Civic Sunday in September at Lepton Methodist Church, with refreshments provided for guests afterwards in the Scout Hut. 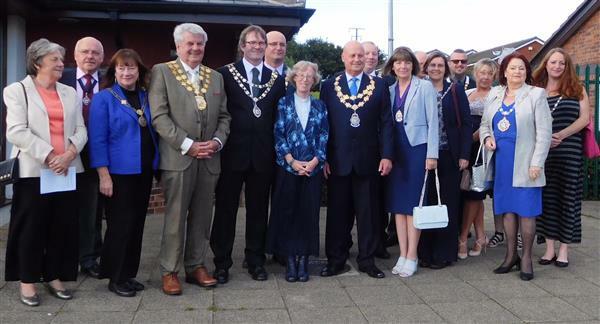 Cllr Burton was pleased to welcome the Kirklees Mayor, Cllr Jim Dodds and his wife, as well as many of the Mayors and Chairmen of the local Parish and Town Councils. Also present were many past Chairmen of the Council and present Councillors. Monies raised were donated to Lepton Methodist Church.